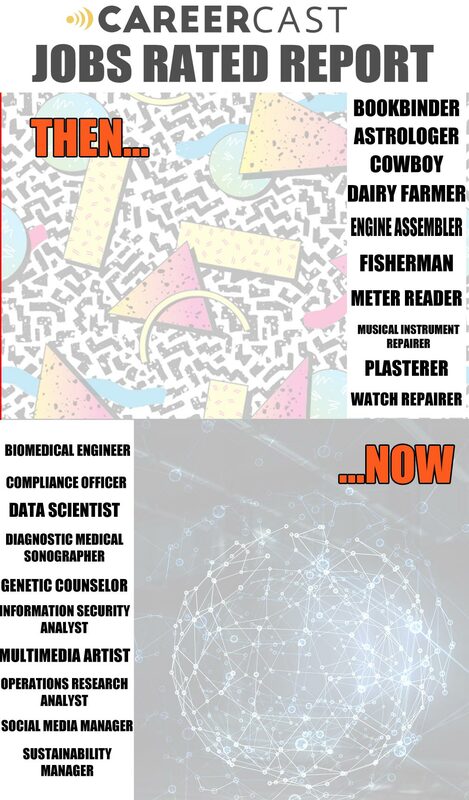 Technological advancements play a crucial role in the CareerCast.com Jobs Rated best jobs of 2018 – and they do the same for the worst jobs of 2018. Booming popularity for ride-sharing apps – Uber and Lyft dominate the space – has had profound impact on the last-ranked job of 2018: Taxi Driver. Growth outlook for the hiring of Taxi Drivers fell by more than half in the most up-to-date U.S. Bureau of Labor Statistics forecast, down from 11% by 2014 estimates, to 5% in projections for 2026. That decline in projected hiring outlook – one of the core criteria the CareerCast.com Jobs Rated report evaluates to rank jobs – aligns with a sharp increase in the number of drivers working for ride-share companies. A 2016 study published by Prof. Alan Krueger of Princeton University and Dr. Jonathan Hall, Head of Policy Research at Uber Technologies, reported a roughly 600% increase in the number of active ride-share drivers from January 2014 to January 2015. As a result, taxi companies’ market share plummeted from 52% to 35% per a BizJournals.com report. And ride-share apps have only gained in popularity in the two years since, with an estimated 7 million active drivers for Uber alone by the end of 2017. An even bigger impact among the Jobs Rated report core criteria for ranking jobs finds that the infiltration of part-time, freelance and gig drivers have created a market saturation and stagnating wages for the field. The annual median salary for Taxi Drivers as estimated by the BLS in 2018 increased by less than $1,000 since 2013. That’s paltry even in comparison to other jobs that ranked at the bottom of this year’s Jobs Rated report. Newspaper Reporter annual media salary increased by about $3,000 in that time, for example; Logging Worker pay grew approximately $4,000 in the past five years. Low pay is one of the contributing factors for low ranking in the Jobs Rated report – and indeed reflected in the bottom 10. Only two of the 10 earn more than $40,000 annually – and at that, those fields (Advertising Salesperson and Corrections Officer) both face sharp declines in projected hiring outlook by 2026. Of the Jobs Rated report’s core criteria, other factors including stress and environment also factor into the rankings for physically taxing, dangerous fields like Enlisted Military and Pest Control Worker.